People who fill out and submit a TMC Transportation application are looking to join a company that strives to be the leader in flat bed trucking and offer their customers quick and outstanding service. Links to apply for jobs at TMC Transportation are at the bottom of the page. 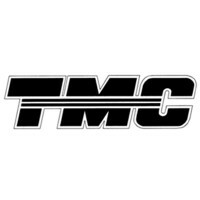 TMC Trucking was started in 1972 by Harrold Annett after he bought The Mickow Corporation, a dormant trucking company. He had eight employees, but quickly built the company up, focusing his effort on building up the flatbed trucking industry. By 2012, he had built TMC Trucking up to become the leader in the industry. With the arrival of 2013, Harrold Annett decided that he wanted the company to become employee-owned and set up an Employee Stock Ownership Plan. From that point on, TMC Trucking was run by employees, even though Annett still runs the day to day operations as the CEO. In their rise become the best flatbed trucking company, TMC Transportation took people from the very beginning of their careers and build them up. If someone wants to work with them, but doesn’t have any training, this company will work with them to find a position that they can fill and be trained into. Although there are TMC Transportation careers available in the corporate offices in Des Moines, Iowa, a majority of positions is general logistics work. The company wants to make sure that everything is working smoothly to make sure that their customers get their orders in a quick and timely manner, while their drivers and other employees are working in a safe manner. Locally, there are several garages around North America for people interested in mechanics and driving to be based out of. There are also several TMC Transportation jobs for people interested in logistics close to the garages to make sure that customers have a place to meet with their contact face to face. How old do you have to be to work at TMC Transportation? Age requirements vary by position. As you browse TMC Transportation jobs online, make sure to read all the position needs carefully because some jobs may require various degrees, certification, or experiences. TMC Transportation offers several benefits to their employees. Some of these benefits are health insurance, a 401K, life insurance, paid vacation, sick pay, training and education, and a wellness program. Because TMC Transportation is now an employee owned company, they offer profit sharing to encourage their employees to be outstanding. Customer Service Representative – You’ll work with multiple customers to make sure that their shipping needs are being met. When the customer needs support, you’re the person to offer it and answer any questions that they may have. Compensation is around $40,000 a year. Logistics Specialist – Building a solid relationship with partner carriers that practice outstanding safety standards is a big part of this position. You will work closely with sales and customer service to make sure that everything is being billed properly and people are being taken care of. Compensation is around $45,000 a year. Maintenance Technician – As needed, you’ll inspect the company’s fleet and do any repair work that needs to be done to keep everything running in the trucks. Before the trucks leave your garage, you will do general maintenance checks to make sure that everything is running properly. Compensation is around $30,000 a year. Appearance Technician – As trucks return from their trips, you’ll do an external checklist to make sure that it looks good and keep an eye out for rust. Before they go out again, you’ll clean the outside, waxing and buffing as needed, and internally, shampooing the carpets if it’s necessary. Compensation is around $30,000 a year. Why do you want to work for TMC Transportation? This is an extremely common interview question, so you should be prepared for it. Talk about what drew you to the company, whether it was the culture or benefits and why it’s your first choice in places to work. What experience do you have? If you have any relevant experience, make sure to talk about it. If you don’t, talk about what you can bring to the position and offer the company. Use plenty of examples to back up and support any claims that you may make. Where do you see yourself in the next few years? Your interviewer wants to know if you see yourself with TMC Transportation. Talk about how you’re willing to take on extra challenges and responsibilities in order to move up in the company, making sure to be realistic in your career expectations. Several positions may require you to stand for long periods of time or to carry heavy objects, so you may be asked: Is there anything that could keep you from doing your job? If you’re straightforward, the company will probably work with you. Make sure to be honest and explain anything that could stop you from doing the job to the best of your ability. Some TMC Transportation jobs will require that you work closely with customers, so you may be asked: How would you take care of an upset customer? Walk your interviewer through the steps that you would take in order to turn the customer’s experience around. How to apply for TMC Transportation online: start by deciding if you want to work in an office, the shop, or become a driver. Once you’ve done that, follow the appropriate link to find the position that you’re interested in applying for, making sure to read all the requirements before filling out your TMC Transportation application. There is no printable application for TMC Transportation available on their website. Before attending your interview, do research on TMC Transportation and the industry in order to come up with a list of questions that you can ask. For an entry level position, this may seem excessive, but it will place you above the other candidates as it shows that you think ahead and are prepared. Your interview will probably take place in a semi-formal setting, so you should dress in business casual, at the very least. If you’ve applied for a managerial or supervisory position, a suit would be appropriate. Have a positive and friendly demeanor because it will give a good impression and show that you’re willing to work with the existing team. Show gratitude at the opportunity to interview with TMC Transportation. After your interview, inquire about the best way to check on your hiring status. Few applicants will learn if they got the job during their interview because TMC Transportation will want to screen all candidates before making a final decision on who is hired. PECO: See our resource page for more information on PECO careers. Greyhound: Visit the Greyhound application. Suddenlink: For career opportunities, fill out the Suddenlink online application. JEA: For employment at JEA visit the application page. Bright House Networks: For employment at Bright House Networks visit the application page.